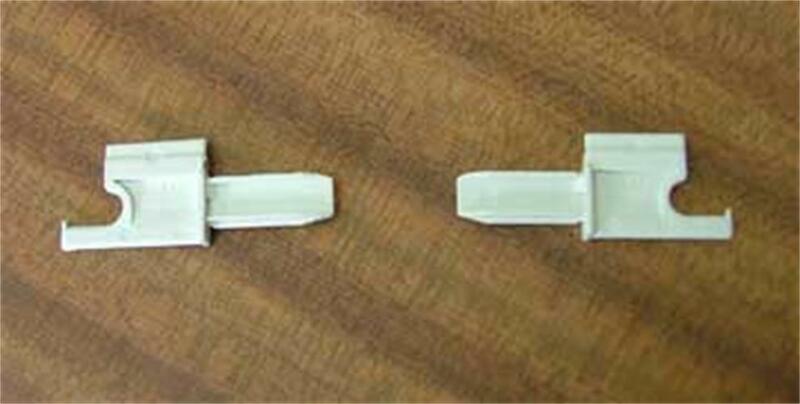 Blind end fitting-pair, left and right hand clips for bottom of blind. Just the job. Once again I can pull down the blind and secure it without having the hassle of it rolling up if I knock it whilst sleeping. When A Blind End Fitting Broke, We Needed A Replacement. This Was A Direct Replacement, And Solved Our Problem. Delivered quickly and very easy to insert into caravan blind. Very happy as thought may have to buy new blind but these end pieces are just what was required. Cheap repair! Once the existing pump seized after eleven years of use it was time to replace it. Having seen the brilliant instruction on the web site I knew it would be easy. It was. A quick dispatch from leisureshopdirect to France was welcome. The new pump seems quieter too. We bought an English caravan second hand in Australia and could not find these fittings (Blind end fitting-pair for Seitz blinds) here. Was very happy with the product and the delivery. Will be buying more in future. Thanks so much Leisureshop direct. As others have indicated I had to drill out the old ends as they are not easy to simply pull out and then I pushed them through but that only took 5 minutes or so and the new ones were in and working perfectly in no time so I am really happy. I live in New Zealand (other side of the world) and the local Caravan shop said these spares didn't exist anywhere in the world so I was very happy to find them on line with leisureshop - well done and I will definitely be using you again. Received with locker box what a pig of a job to do but am now a fully qualified Blind End replacement person, originals just broke off upon extraction so I used a drill with 2.5 mm bit to drill down the insides this forced the broken bits to the middle of the extrusion, job done. My caravan dealer said "you can't get spares for those blinds mate". Well, he was wrong! Exactly the right part and has restored normal operation. Good service and perfect fit! 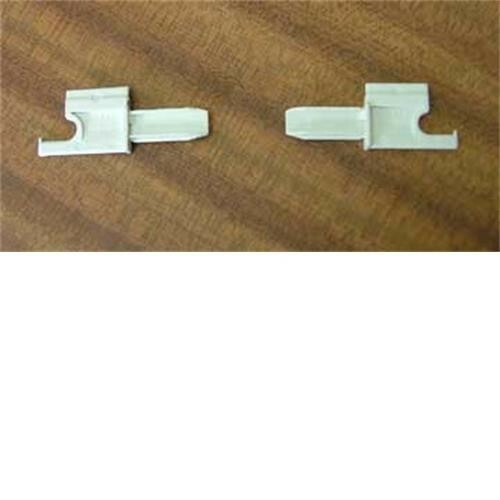 I was concerned that I would need a new blind having broken the end fitting; a quick search on the internet and the part was found and ordered. Excellent service, thank you. One of these broke on a recent trip, and thought it would mean a new blind (aaagggh). Found these and ordered 2 sets - be prepared is my motto. A bit hard to get the remains of the old one out (ended up just pushing it further up the track out of the way). A tip would be to coat the new one in a bit of washing up liquid to help it slip into the blind. I also had to shave a bit off the clip end, but there are lugs on top of the clip which I reckon are designed to be pared down when it's too tight. well done Leisureshop! Exactly what we ordered and very happy with the delivery. a good web site carring all the bits you normaly have to hunt hear theree and every where for god service and fast delivery have not fitted yet but product looks good have put up a short cut to this site should other parts be required for anyhthing keep up the good work guys. After purchasing my caravan I found that one of the blind bottom clips was broken. I was unable to find the part anywhere, but after typing in the product number that is print on bottom if clip on google. This company was listed, it showed a good pic so I was sure I had correct item. I ordered and the part came next day. After a little fiddling with the blind I replace the clip and the blind is nearly like new. Fab company and fab delivery. Many Thanks. They are on my favourite list now and will look for parts again should I need them.